The Previous: Sounds like one of those horror film plots, eh? 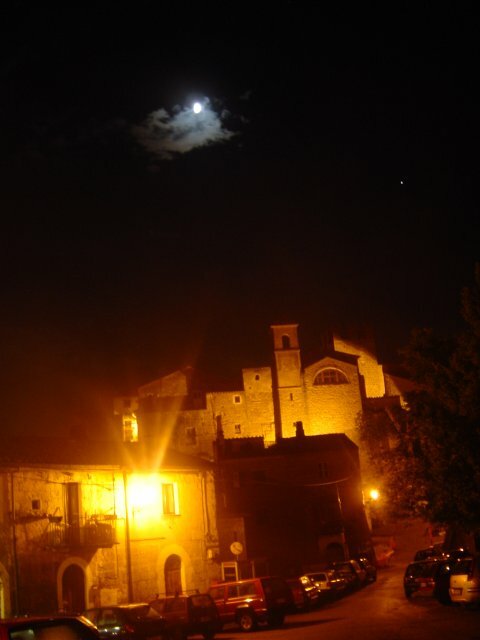 Calcata, a small town to the north of Rome, founded in medieval times on a hill, deserted before World War I because the hill was feared to crumble. The town was rediscovered, and resettled, by artists and artisans in the 1960s. We arrived there just in time for dinner. The restaurant had pictures of black cats all over the place, and Nancy Sinatra sang “these boots are made for walking”. darn. at first sight i read 'colcata'.